The sharp points and rough edges of the Santa Catalina Mountains in Tucson were softened by the winter clouds that rolled down the mountain face like seafoam on a stony beach. The air was fresh and crisp as the last day of November gave Tucsonans a glimpse into what the approaching winter has in store for them. Mary Stack was at home for the day. From her apartment window, she could see the mountains changing shape as the clouds whisked around the peaks; her caregiver moved about the kitchen getting things ready for the weekend. “I wanted to move somewhere warm… I had a teammate who lived out here and I wanted at least one person I knew… and I love the view,” she said, gesturing to the Santa Catalina Mountains. Stack has lived in Arizona for four years; she’s originally from Michigan. She moved to the warmth to better enjoy her retirement. From the photos, medals and décor in her home, there is no question as to what she did before retiring. Powerlifting is an intense sport. Stack would lay on the bench with her lower half strapped down. This ensures that all athletes have to rely solely on their upper body strength and keeps the playing field level. “Some even say it’s harder than able-bodied lifting,” Stack said. And rewarding. All over her home are pictures and memorabilia of her powerlifting days. 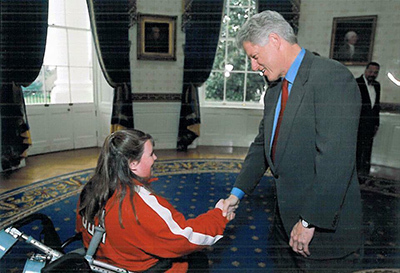 “I met Clinton first, then Bush twice and my last Paralympics was with Obama,” Stack said as she showed me her photos. 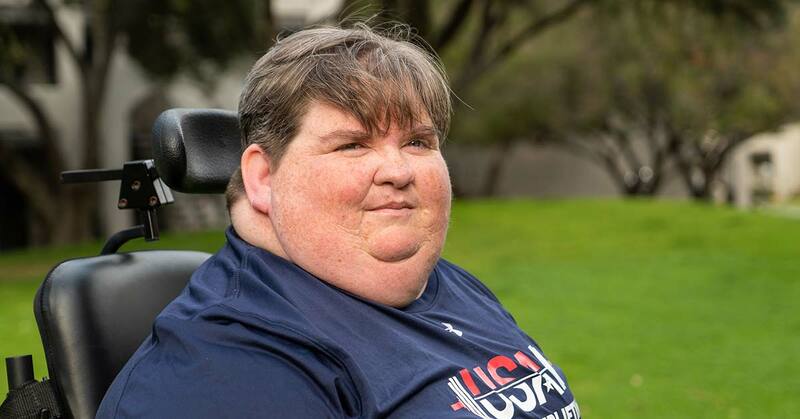 Stack has participated in some of the highest-level competitions including four Paralympics, the Parapan American Games and four Worlds Weightlifting Championships before she was asked to retire in 2014 due to her disability changing. Her physical strength has allowed her to travel the world, make hundreds of friends, meet three U.S. presidents and lift more than 300 pounds during competition. Her super strength wasn’t a gift–it was something she spent years earning. It was in her high school adaptive physical education class where she began to shine. A rare, progressive genetic disorder called Pseudohypoparathyroidism kept her in pain and caused her hearing to diminish. And it’s in this class where a teacher saw Stack’s potential as a powerlifter. “With your short arms and big chest, you could be really good at it,” the P.E. teacher told Stack. She apprehensively agreed to go to a local competition. This competition would change the trajectory of her life. 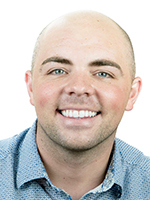 “I was unsure of the idea of it at first, but when we got to the competition, I knew that it was something I could do,” Stacks said. Stack was able to lift 50 pounds the first time–not a lot, but enough to drive her to succeed. Fast forward to the Paralympics in 2008, when she benched over 300 pounds. “I don’t have one that is most special or rewarding. I have a few moments like that. When I lifted 300 for the first time in competition is one of them. It is something I never thought I’d be able to accomplish,” Stacks replied when I asked her what accomplishment was most rewarding for her. Powerlifting brought many firsts. Stack was one of the first people with a disability to ever go to the top of the Acropolis of Greece, she walked a good portion of the Great Wall of China, and she was able to meet a six-year-old boy in London who also had Pseudohypoparathyroidism–the first person she’s met with the same disability as herself. 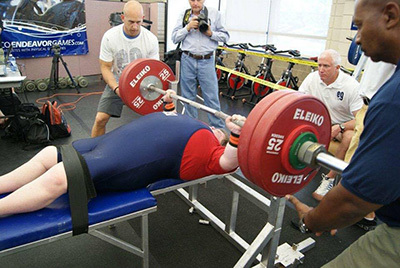 A sport where the athletes’ lower body is strapped down to the bench, frees competitors from the stigmas and challenges they face on a day-to-day basis. For Mary Stack, powerlifting has allowed her to accomplish heavy feats she never thought possible and become stronger every day.